For those outside Pittsburgh, our story may require elaboration. In the last decade we have lived a precarious existence, groping for identity as our congregation hemorrhaged members and maintenance costs steadily increased. Fewer and fewer people have been willing to navigate the confusing byways of Pittsburgh’s business district to join us in worship, while the pastoral needs of the local homeless population have taken their toll on the small body of parishioners with time to contribute to outreach. Maintenance-to-mission may have been the slogan of the Duncan episcopate, but it is been hard to get beyond maintenance when one has a structure of our size with which to contend. Now, as the recession slashes our endowment to the edge of fiscal viability, we are obliged to contemplate a dramatic change in vision. In this context, it is excusable for outsiders to read our resolution as simply an effort to remain a viable congregation, while staying out of the present legal fray. Such is not out intent. Composed as we are of a blend of institutional liberals and moderates, communion conservatives and a few federal conservatives, we recognize that our resolution can be effective only with a degree of self-discipline. We are not Laodiceans. Our vision – “To Be a Missionary Cathedral Building Up a Missionary People of God” – embodies a commitment to the continued need for relationship between those recently parted by realignment. Both new ecclesiastical entities contain within them the DNA of the former Episcopal Diocese of Pittsburgh. Looking toward the future, we must still account for our past. The commitments to “to forgive rather than retaliate” and “to heal hurts rather than nurse grudges” are not legalistic boilerplate, but an attempt to live into the ambiguities of our recent division. We emerged from our retreat with the belief that we have the potential to promote our vision, even if the prevailing climate would have us act otherwise. Meditating on Ephesians 2: 11-22, we came to fresh understanding of the reconciling work of Christ on the Cross. We saw once more the ability of Jesus to lessen the pain even of the hurts that have recently been inflicted and endured in this part of Pennsylvania. Again and again, we heard from representatives of the realigned and reorganized dioceses, talk of what could still be shared, of ways in which we might still be in relationship with one another. Our first acknowledged task is to define our identity as a congregation, for we have a need to grow and be fruitful and without vision we most definitely will perish. We have to learn to suit our very limited resources to what is achievable, to use the spiritual gifts of our congregation to best advantage, and to identify those constituencies whom we are best placed to serve. All of this is, of course, the standard work of parish profiling, yet beyond those fundamentals lies a deeper and more challenging objective: to model Christ in such a fashion that non-Anglican Pittsburghers will no longer think of us as the denomination that’s always in legal battles and that the Anglican community will have cause to downplay the adversarial nature of the conflict. My first post of 2009 is a response to a posting by Father Jim Stockton of Church of the Resurrection in Austin, Texas on the House of Bishops and Deputies discussion list (HOBD) on the dangers of endorsing the proposed Anglican Covenant. 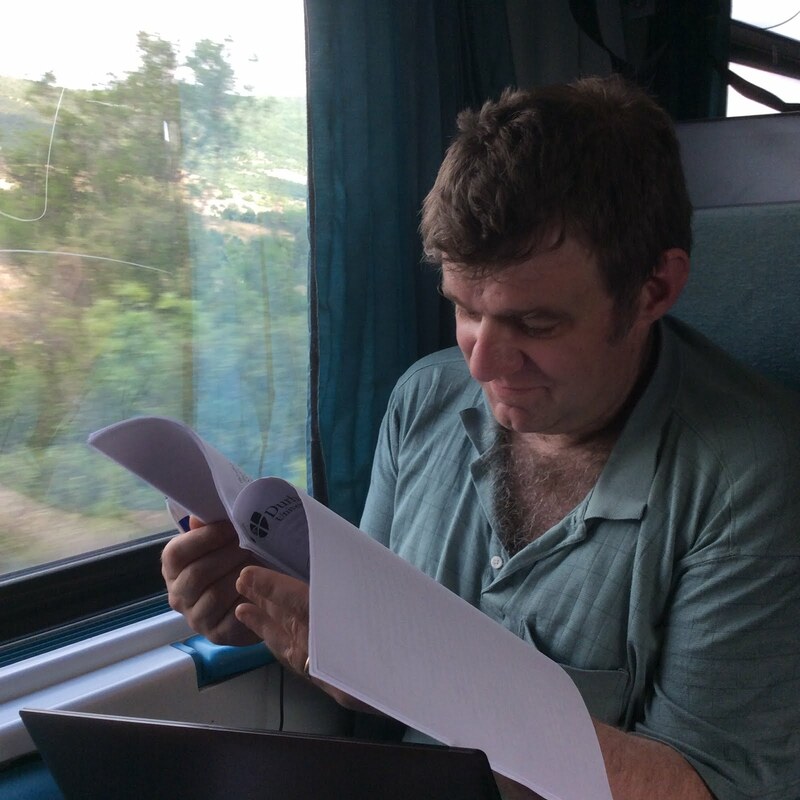 Subscribers to HOBD are asked not to publish postings without the permission of the author, but readers can still, I hope, get a sense of what is in dispute. Update: Father Stockton has posted his original article in the comments section. While the issues that Father Stockton raises are, for the most part, practical and theological, and, as such, not a part of my remit, I would like to take issue with some of his historical assertions. 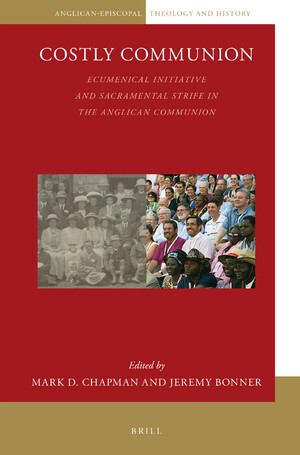 One of the things that I, as a historian, find a little frustrating about the progressive position are the simultaneous assertions that Anglicanism represents as much an organic as a legalistic version of catholicity – which I think is true – and that because there are few, if any, examples of formal transnational structures, this is implicit proof that no one down the ages ever desired or anticipated them. If Anglican structures have historically been informal, undocumented and organic then there will inevitably be no paper trail, but that proves little about how people have anticipated the future. 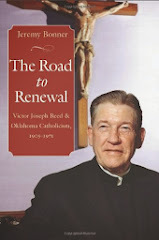 Father Stockton asserts that historically there was never an intention to create a Communion. If he means there was never a proposal to create a curial structure, then I suppose he is right, but why is it that it was the American and Canadian bishops who pressed most strongly for Lambeth 1, at least in part to address the questions arising over Bishop Colenso? He further states that the American church never sought to sustain a relationship with the Church of England. Here, I believe he is wrong. The Episcopal Church in the early national period did have to live down its reputation for residual Toryism and disloyalty to the Republic and Bishop Hobart’s approach, as Robert Mullin has demonstrated so well, was designed to emphasize American Anglicanism’s detachment from statist projects, but I have read little that suggests that the Church, at least after 1815, had any other reason to downplay its English credentials. 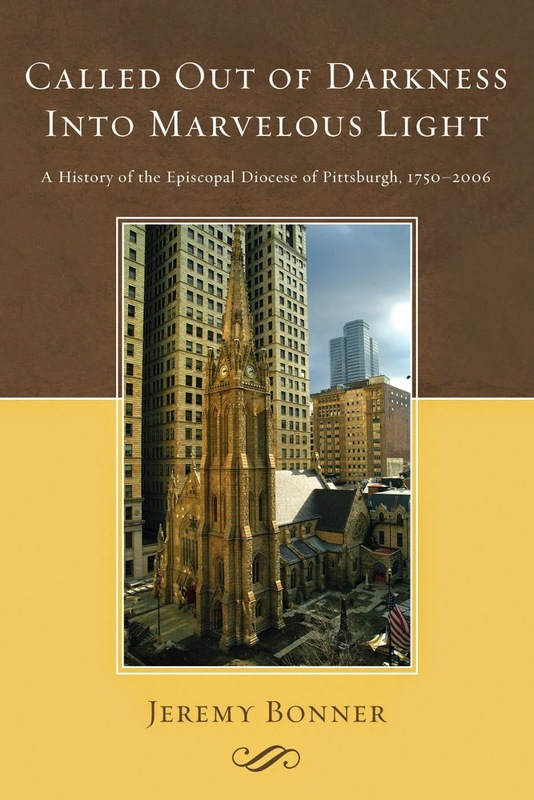 The evidence from Pittsburgh is rather that the Episcopal Church saw itself as midwife to new immigrants from the British Isles. Our first bishop, John Kerfoot, was instrumental in establishing the notion of letters of transfer to be presented by English immigrants to Episcopal rectors on arrival in the United States. While there certainly are statements that imply a purely advisory role for the Lambeth Conference there are equally existential statements – by bishops and others – that seek to dispel the notion that members of the Episcopal Church belong solely to an American denomination. One might just as well say that any American reserve stemmed from the fact that a largely High Church body – especially after 1873 – viewed with some disquiet efforts to propitiate English Evangelicals, including such legislative instruments as the Public Worship Regulation Act. I have no way of knowing what Father Stockton would consider “deep and abiding affection,” yet there would seem to be a fairly constant record of clergy exchanges and a strong sense of “Britishness” within the American Church that antedated the Second World War. Clearly this did not amount to a view of the archbishop of Canterbury as even a titular pope, but I think it implied something more than just a common historic point of departure. 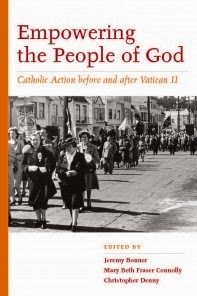 Anglo Catholics have always seemed good at sustaining transatlantic connections, and the Broad Church had the Social Gospel to share (Charles Gore was read on both sides of the Atlantic). When Evangelicals started reconnecting in the 1950s and 1960s – John Stott’s visits to America and Billy Graham’s English tour were both part of the same phenomenon – they were merely doing what previous generations of American Anglicans had done. 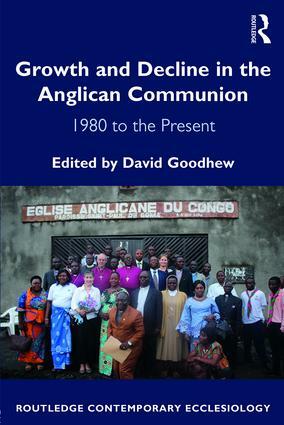 Where they broke with the past was in being more pan-Anglican than their nineteenth century forbears, most of whom had preferred to think in terms of a pan-Protestant alliance extending across the denominations. That is where the real difference between then and now is to be found. Contemporary Evangelicalism may be dismissed by its critics as outside the Anglican mainstream, but it is being shaped much more within an ‘Anglican’ world view than it was 150 years ago. Again, people may not like the Anglican Church in North America, but it is a very different entity than was the Reformed Episcopal Church when it was first formed. Father Stockton may well be right, however, in his belief that voluntary federations are now inevitable. Those now fighting for a Covenant may well be seeking to preserve a catholicity that is unsustainable. But asserting that a high view of bishops and primates can be seen only as making the former “dictatorial headmasters of an infantilized laity,” also does less than justice to bishops of the past who would certainly not have understood their role solely as that of chief executive officer of their diocese. If apostolic succession is to have any meaning, surely it implies an episcopal charism in relation to matters of doctrine? I would strongly question whether even the most avid of nineteenth century proponents of lay democracy desired to hobble the authority of bishops to pronounce on matters of theological significance. “The Church of England,” says Father Stockton, “never had a covenant. The Episcopal Church purposely has never had a covenant.” It might be more true to say that neither ever had a confession, but to insist that Episcopalians (and members of the Church of England) never thought in covenantal terms seems much more of a stretch. It would be interesting if other dioceses would take up the question from a historical perspective so that we might gain a deeper understanding of just what it was that American Anglicans believed in times past. It is most unprofitable for either side to project onto the Church Expectant a vision derived from present-day events.